Bought tickets for LFCC! 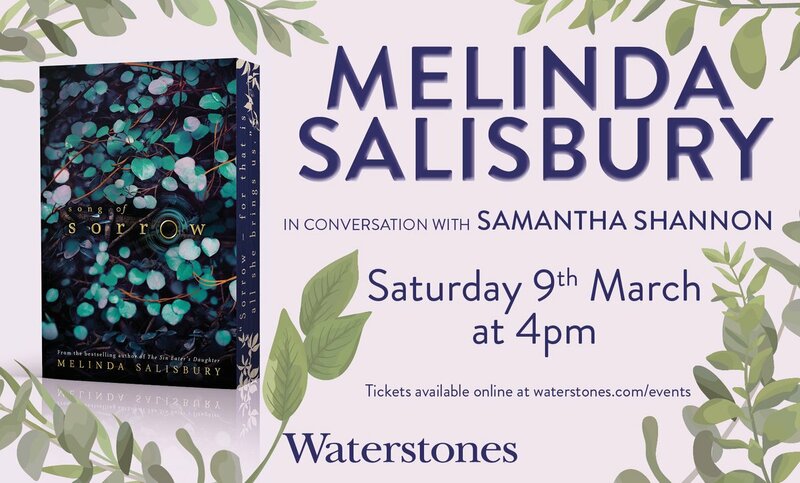 You and Sarah J Maas how can I not go. So looking forward to it! CAN.NOT.PUT.THE.BOOK.DOWN. I will be so sad when it ends!! Can't wait for part 2!!!! PLEASE COME TO CANADA! I WILL LOVE YOU FOREVER IF YOU DO! I was in Toronto quite recently, but hopefully I can come again soon! Mumbai Mumbai please! PLEASE COME TO MUMBAI. Any chance of visiting Canada too????? Are you going to be in Germany this year? That would be so amazing. Hello! There will be seven books in the Bone Season series. I've written two of them so far. And I hope I can come to Hungary one day. Loved Bone Season - why aren't you stopping in NY for your US show? My tour locations are up to my publisher, so I'm afraid I don't know. I'm sure I'll be back at some point! Hi Samantha, your book is like a drug!!! I neeeeed the next part!! :) I have 2 questions: Will you ever come to Germany?? And : Where I could reed the first few capitals of the mime order? I'm so glad you enjoyed it! I hope I can come to Germany at some point. Unfortunately you can't read the first chapters of The Mime Order any longer. They were online for a short amount of time and then taken down. Hi Samantha! I love so much the bone season, I admire your imagination. Are you going to come to Barcelona? In Catalonia (Spain), the 23th of April people celebrate ''Sant Jordi'', which is a celebration called ''the day of the book and the rose''. People give books or roses to their friends, family or boyfriend/girlfriend. Maybe you have heard about it. There are a lot of writers in bookshops, singing books. 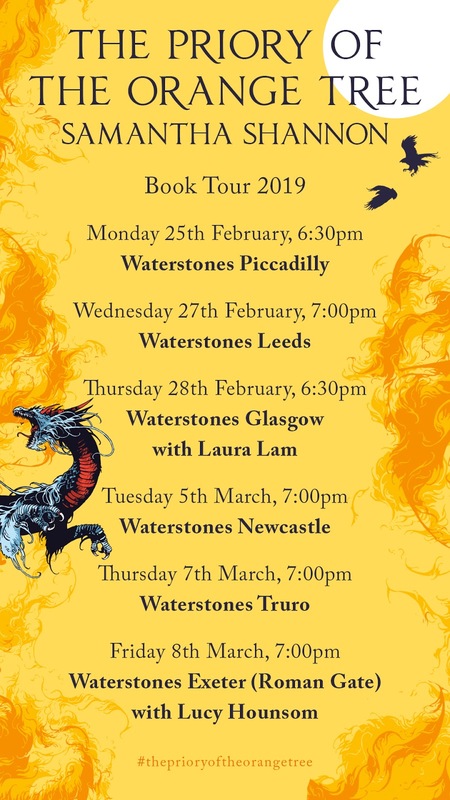 It would be find that you came to promote your fantastic books this day (although I don't know if The Mime Order will be translated into spanish or catalan in spring). I hope so, but I know that it's a little bit difficult. I'd love to visit Barcelona one day. I was in Madrid quite recently for the Spanish translation of The Bone Season, but I hope I can come back. And that day sounds absolutely wonderful! Yes, the day is wonderful. Streets are full of outdoor bookshops, you can look for pictures in Google. But please! 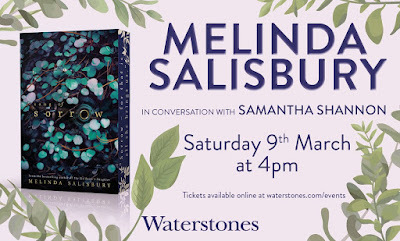 If you came, report it in the blog or in Facebook because I'd love going to see you! I'm not sure, sorry! Hopefully. I'm so glad you enjoyed The Bone Season. will there be a europe tour or has it not been discussed yet? It hasn't been discussed yet. I imagine it won't be until a few of the translations of The Mime Order are finished. Have you decided who will the characters of bone season film be? Who are them? 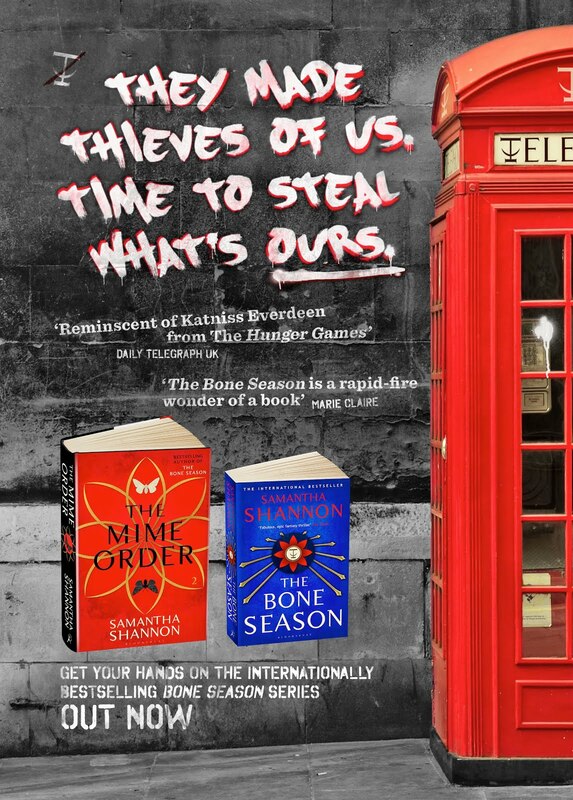 I EXTREMELY LOVED The Bone Season and The Mime Order and am EXTREMELY EXCITED for the third book of the series I am counting down the minutes until it's published! I also had a few questions for you. Will you be coming to Canada? And if so could You PLEASE come to Montreal it would be a dream come true! Also, if you had any idea of the characters for The Bone Season film I would love to know who You think would be the perfect Paige, Warden, Nick, Nashira etc. I would REALLY LOVE if You knew the answer to these questions! Thanks for writing AMAZING books! I just found out you were coming to the states and now your tour is almost over. I was really looking forward to meeting you. I not much of a book reader (at all) but something about the tittle of your book made me want to try to get through it. After reading the first chapter I couldn't put it down, I literally took it everywhere. The same goes for the second instalment, I just wanted to say thank you for giving me the opportunity to take a look inside this world. Anything you ever write in the future I will read no matter what, I am now an avid fan of your writing. One last thing there are two songs by Nick Jonas on his new CD that I think will fit with the movie there called Push and the other is Nothing would be better. I hope you listen and good luck on your future success. Good Evening Ms. Shannon! I'm younger than you, (Paige's age during the beginning of TBS) so I thought it would be polite to give you a title! I was wondering if you were able to confirm that a character is dead or that it is supposed to remain a mystery. The character I'm talking about is (SPOILERS for other readers!!!!!!!!!!¡!!!!!!!!!!) Julian. In the Mime Order I remember him being mentioned by Paige when she witnesses a pregnant women get interrogated by a Virgil I think? If it's supposed to remain a mystery that is awesome and you don't have to reply, but if he is confirmed dead in The Mime Order do you know what page it would be on because I really like his character but I'm unsure of his fate, but if its supposed to be like that then never mind! I'm sorry for this long messeage! Your the beat author ever! Hi Samantha, I've just finished demolishing 'The Mime Order', reading is too light of a word to do credit with to the way I made my way through it!